McHugh Steel Pty Ltd is committed to ensuring that your privacy is protected. Should we ask you to provide certain information by which you can be identified when using this website, then you can be assured that it will only be used in accordance with this privacy statement. Any personal information collected by McHugh Steel Pty Ltd will not be disclosed to third parties, except when you have provided written consent, the circumstances require disclosure to prevent a threat to health or life, or McHugh Steel Pty Ltd is authorised by law or believes it is reasonably necessary to disclose your personal information to enforce the law. McHugh Steel Pty Ltd requires your personal information in order for you to be provided with services from McHugh Steel Pty Ltd. Any personal information provided will only be used in accordance with this objects and purposes of McHugh Steel Pty Ltd services. You may decline to provide such information, but if this information is not provided you may not be able to receive the full benefits of the services McHugh Steel Pty Ltd has to offer you. McHugh Steel Pty Ltd records your personal information on its own database. 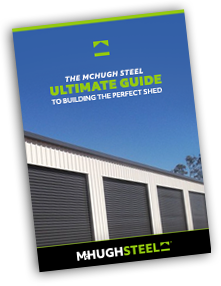 This information is stored for McHugh Steel Pty Ltd’s benefit only and may be used to market, review, research and analyse McHugh Steel Pty Ltd's products and services. You may have access to your personal information or object to the use of your personal information if you provide McHugh Steel Pty Ltd with reasonable notice stating your objection (together with reasons for the objection), or requesting access to your personal information. A small fee will be payable. If you would like a copy of the information held on you please contact us. Providing reasonable notice is given, McHugh Steel Pty Ltd will make good faith efforts to remove your personal information from its database or provide you with access to your personal information and let you correct any data that is inaccurate and delete it, when reasonably possible. McHugh Steel Pty Ltd may change this policy from time to time by updating this page. You should check this page from time to time to ensure that you are happy with any changes. This policy is effective from 5/06/2017.